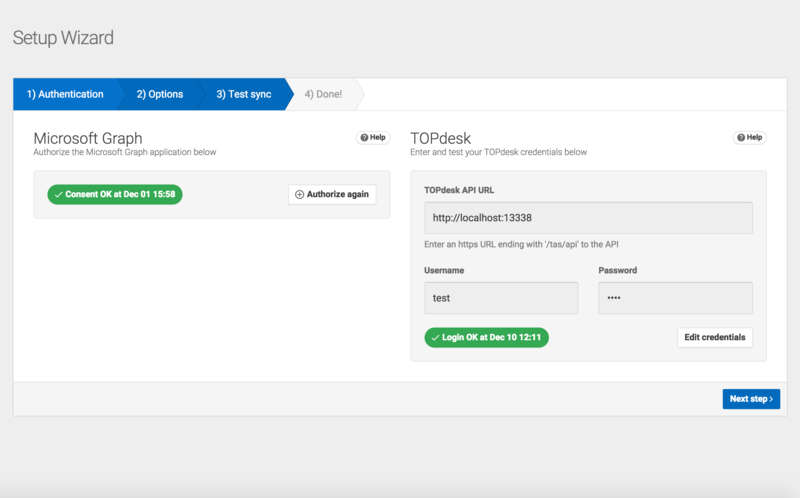 The easiest way to synchronize your Active Directory users into TOPdesk. 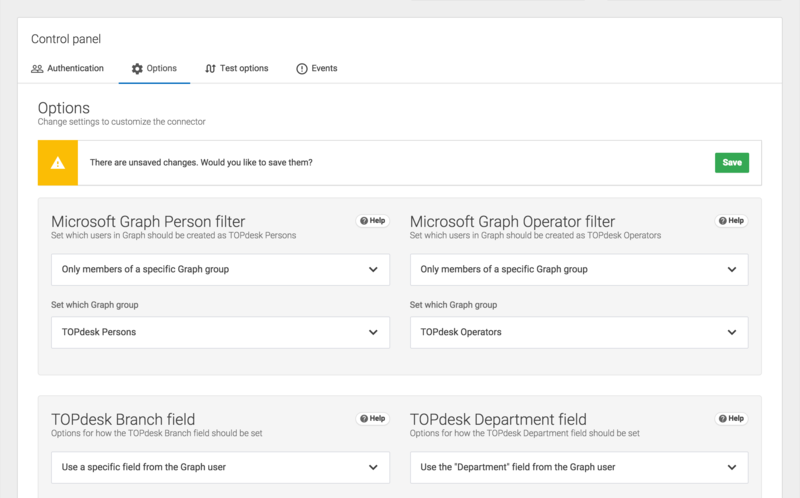 Our Microsoft Azure AD to TOPdesk connector takes care of synchronizing users in your Microsoft Graph/Azure Active Directory to Person or Operator cards. We provide an intelligent set of defaults allowing for easy setup while still allowing users with specific needs to customize the connector. Sit back and relax while our connector ensures you always have the latest data available just the way you need it! 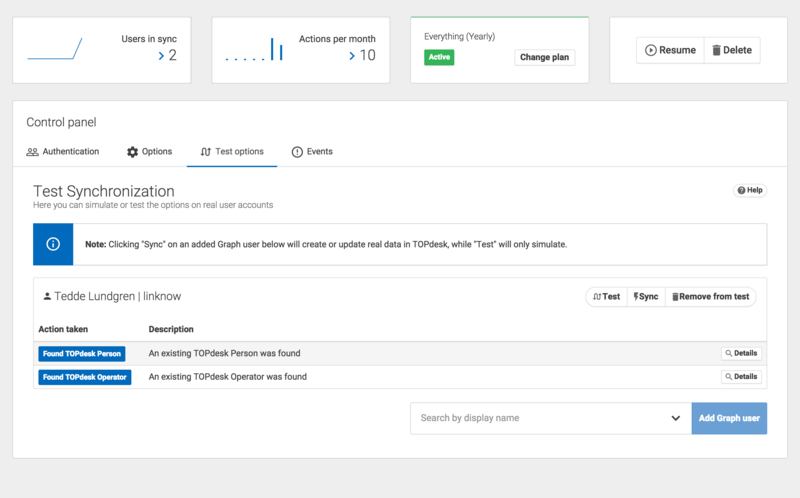 You can easily set which AD users are synchronized based on group membership, and the connector gives you full control over how persons and operators are created down to the individual field level, ensuring the work is done the way your organization needs. A system for assigning the correct department and site to your cards also exist, creating the necessary objects in TOPdesk as required. We also created a setting to define how fields are set on the corresponding cards. You can define exactly how this works down to the individual field level if you have very specific needs. How can i use this connector? To use this connector you need to have a account in Linknow IO platform. In the platform we provide an intelligent set of defaults allowing for easy setup while still allowing users with specific needs to customize the connector. Because of the graphical step-by-step guide we providing in our connectors in our platform the implement should go very fast and smooth to install. Sign up now for a 14-day free trial during which time you can use all of the features just like in the paid version. You do not need to add payment information in order to try this connector out. Simple and easy to setup in 5min. 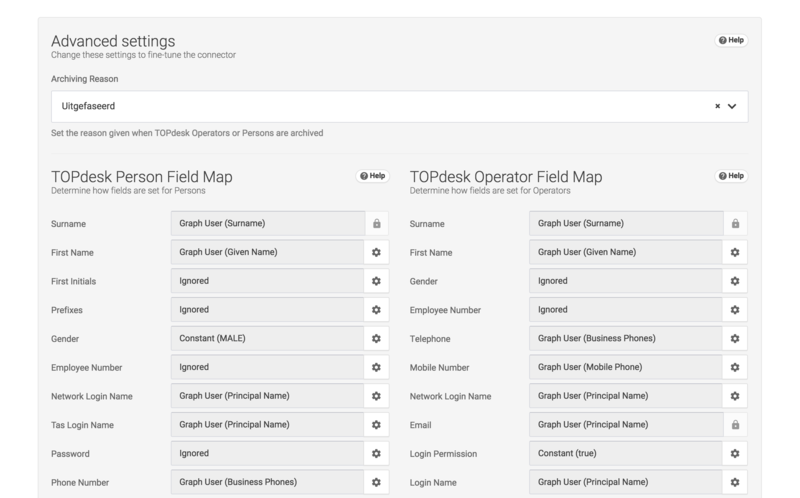 Cerate users in TOPdesk based on Groups from Azure ad and mapping your field between user card in Azure to TOPdesk. Perfect!